When PRODUCTS magazine asked designers from across the country to name their top kitchen products and design essentials, some discussed new or perennial favorites, while others responded with ongoing trends and popular client requests. Many described features and amenities integral to any well-designed kitchen and bath. These include windows that offer generous views of nature and provide homeowners “a feeling of relief” when they’re working in the kitchen, says designer Lori Carroll, principal of the eponymous Tucson, Ariz.-based interior design firm. Organizational accessories, such as cabinet drawer inserts, pullouts with adjustable shelving, and rollouts, are also a must in both kitchen and bath cabinetry. They ensure easy access to everything from spices and cooking utensils to skincare products and toiletries. Of course, all kitchens should have pullout trash and recycling bins, and all bath vanity drawers and medicine cabinets should incorporate outlets for powering hair appliances as well as charging phones, says designer Kenneth Henry, of Alspaugh Kitchen and Bath, a design firm in St. Louis. In terms of current trends, the audience for white kitchens, or more specifically, white marble countertops, remains captive. So much so that designers are using the same marble—often Calacatta—on the countertop and the backsplash for a more minimalist aesthetic. And because cleaner and sleeker is usually better, architect Lindsey Theobald, head of interiors for Feldman Architecture in San Francisco, has been opting for a reverse-knife edge, which streamlines counters and gives them a lighter look. Although it’s not product-oriented, designers also cited a separate butler’s pantry as indispensable to a well-functioning kitchen. Kean likes to conceal the butler’s pantry by using a door that matches the surrounding cabinetry. “It’s a really clean look,” he says. “We do a lot of that.” If space is limited, consider a tall storage wall with a few pantry pullouts, says Carroll. This is not to diminish the importance of choosing the right product. But because kitchens are such personal spaces, there is rarely one item that fits all. Nevertheless, here are 12 must-haves for the kitchen worth considering. 1. 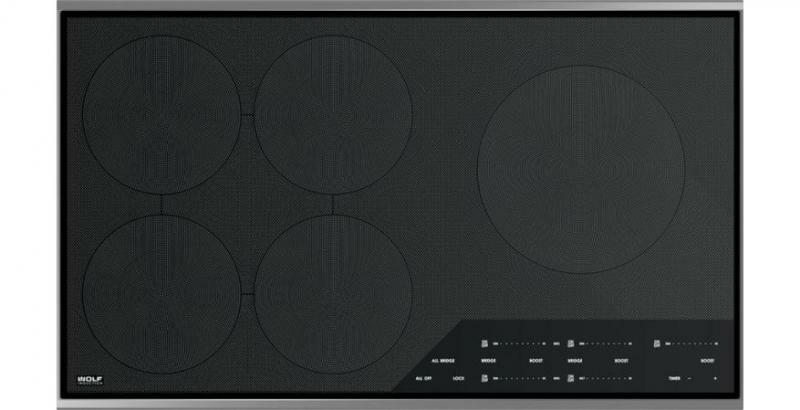 Kean specifies induction cooktops often, even in kitchens where there is already, say, a pro-style gas range. The reason? “They both have features unique to each,” he says. Sometimes, he’ll locate them next to each other. When inset into a dark-colored countertop, the induction cooktop “pretty much disappears.” Kean is a fan of Wolf products not only for their quality, but also for the company’s customer service, which appeals to his clientele. 2. Theobald likes a 36-inch kitchen sink, especially Julien’s SmartStation, which comes with a cutting board, drying rack, colander, and bottom grid. A ½-inch ledge inside the sink bowl accommodates additional accessories, of which there are about 30 to choose from. The sink is available in multiple sizes and bowl configurations as well as with custom options. 3. Carroll likens attractive cabinet hardware to jewelry for the kitchen. 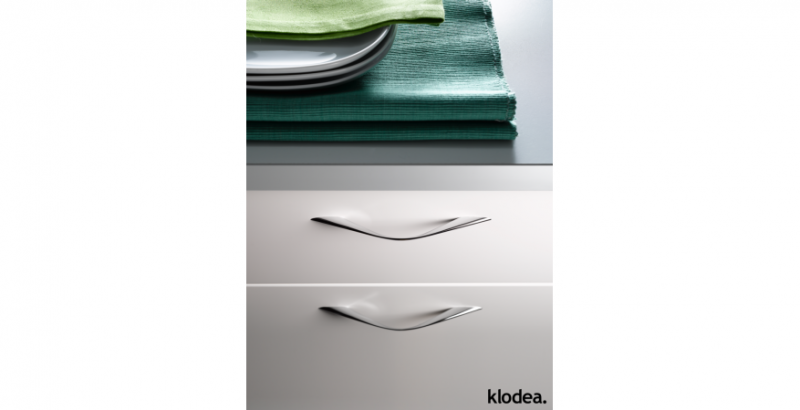 Her most recent discovery is Klodea, a Milanese manufacturer she first encountered at KBIS. Though pricey, “they have some of the most incredibly designed hardware,” she notes. Take Soie, a collection of sleekly undulant handles available in three sizes—7 7/8 inch, 11 13/16 inch, and 15 3/4 inch—and seven finishes: chrome, polished chrome, nickel, matte satin nickel, lacquered aluminum, gold, and coffee. 4. 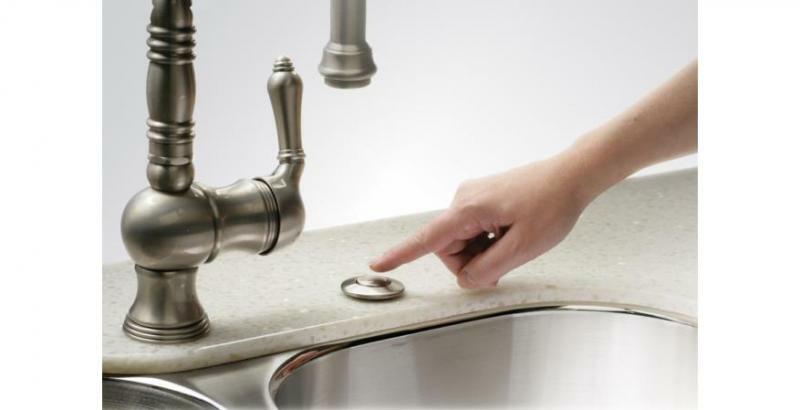 InSinkErator’s air-powered SinkTop Switch, mentioned by multiple designers, replaces the conventional garbage disposal wall switch with a cleaner, more discreet alternative that can be mounted on the back or front of the sink, as well as a countertop button. Moreover, “it doesn’t really cost much more to do than a wall switch,” says Henry. 5. 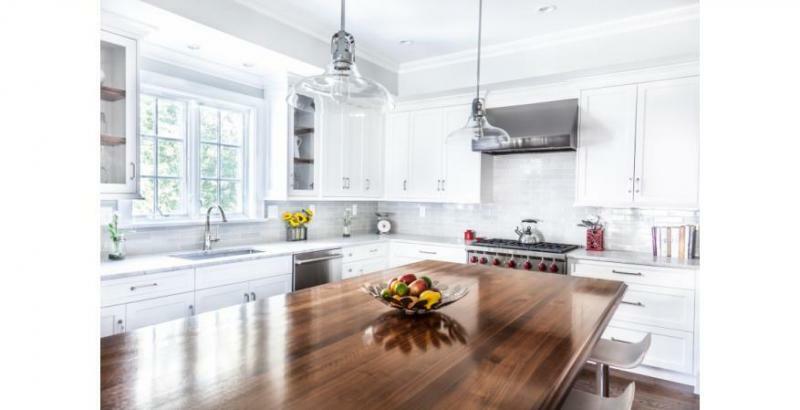 While Miriam Dillon, an interior designer at Washington, D.C.-based architecture firm Barnes Vanze Architects, prefers a faucet with a filtered water option, she also “like[s] to keep the area around the sink clear of too many accessories,” only keepint a side spray and garbage disposal button. 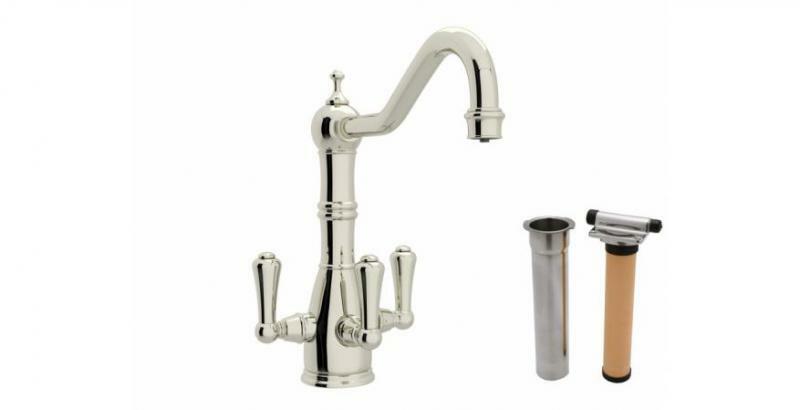 Rohl’s Perrin and Rowe traditional three-lever kitchen faucet with sidespray combines the functions in a classic design that stands 11 inches tall and swivels. It is available in polished chrome, English bronze, Inca brass, polished nickel, and satin nickel. 6. 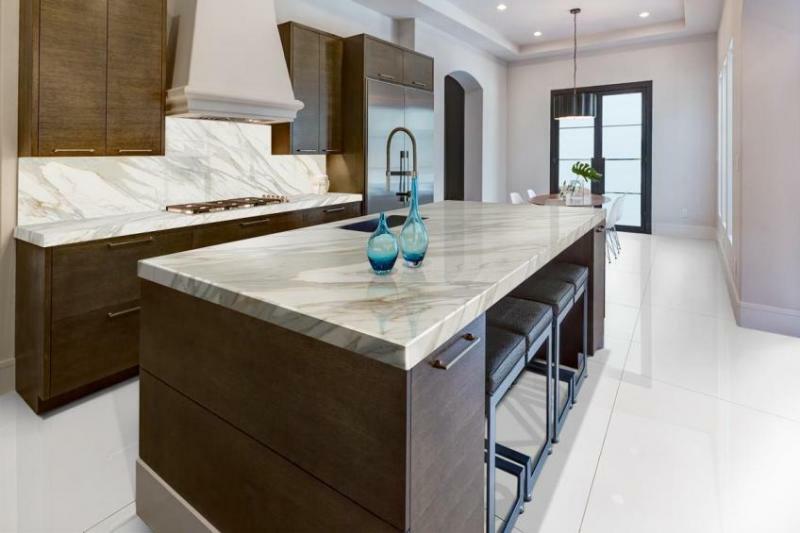 Henry has been installing TheSize’s Neolith sintered stone as a maintenance-friendly alternative to white marble countertops. Though sealers for natural stone have improved, “you still have to worry about etching, which will leave dull spots,” he notes. Because sintered stone is only ¼-inch thick, designers are building up the countertop edge with a mitered joint, which Neolith does well, says Henry. 7. Refrigerator drawers “are especially useful if they’re located correctly,” providing point-of-use convenience for indoor and outdoor kitchens, says Nicholas Mather, design associate at Milwaukee-based architecture firm Deep River Partners. When installed in an island next to a prep sink, they keep fresh produce within easy reach, while saving space in the main refrigerator. Outside, they minimize traffic in and out of the home by storing food to be grilled or ice cream treats. Sub-Zero offers several panel-ready models in 24 inches, 27 inches, 30 inches, and 36 inches. 8. Homeowners who want a little warmth to offset their white marble are doing so by adding a wood countertop. Grothouse Lumber custom fabricates them in a variety of wood species, including walnut, which continues to trend, says Henry. 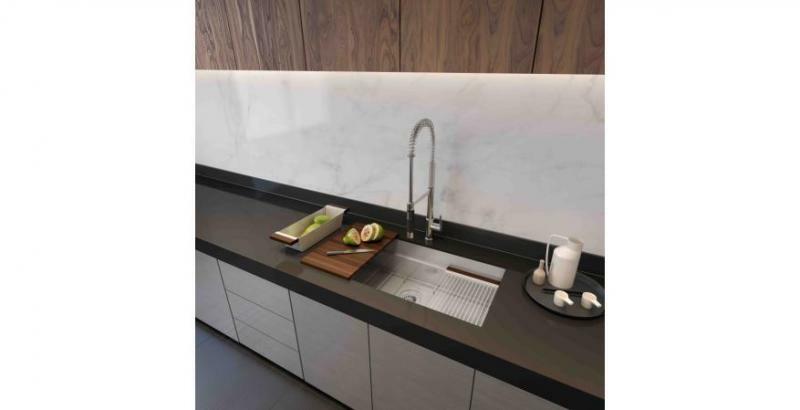 The countertops can be specified with the company’s Durata permanent waterproof finish, available on products with flat- and edge-grain construction, which come with lifetime protection. They are food-safe and impervious to household chemicals. 9. “I would love to never spec a microwave for a kitchen again,” says Asifa Tirmizi, managing partner of Navigate Design, an interior design firm with offices in New York City and Toronto. It’s a sentiment shared by other designers, some of whom find microwaves to be an eyesore. 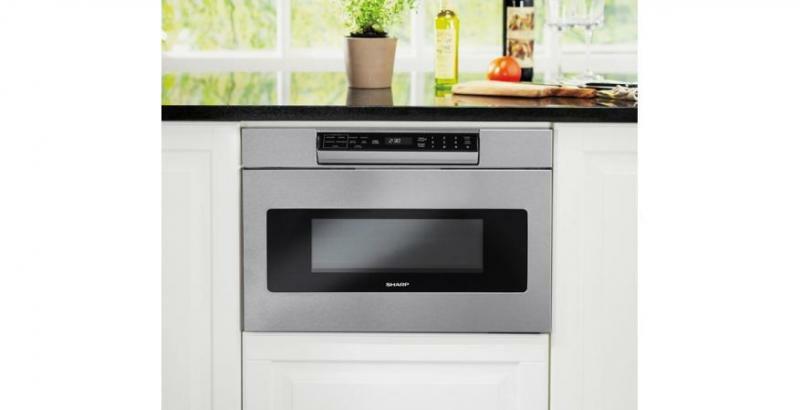 But as homeowners still request them, undercounter models, such as Sharp’s Microwave Drawer, offer an unobtrusive way to add one without taking up valuable counter space. Available in a 24- or 30-inch model, the microwave features a concealed control panel that opens at a 45-degree angle when needed and closes when not. 10. 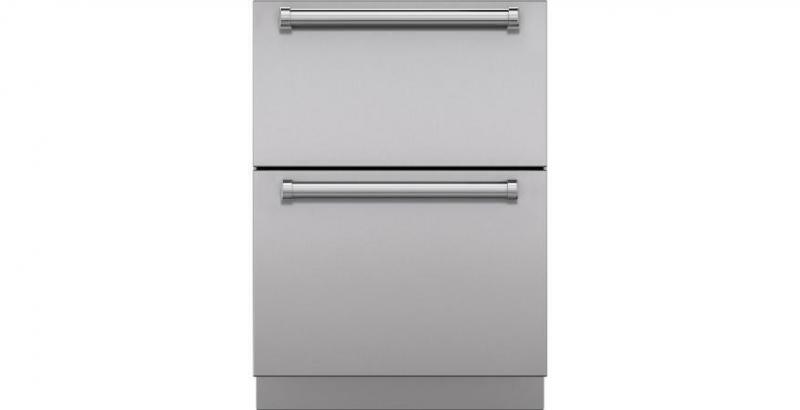 Theobald has been encouraging clients to replace their microwaves with a Miele steam or combi-steam oven, which infuses food with moisture and provides “a superior way of cooking.” The combi-steam oven (Model DGC 6700 shown), which also includes convection cooking, is an ideal alternative to double wall ovens, especially in kitchens with limited space, and can be specified plumbed or un-plumbed. 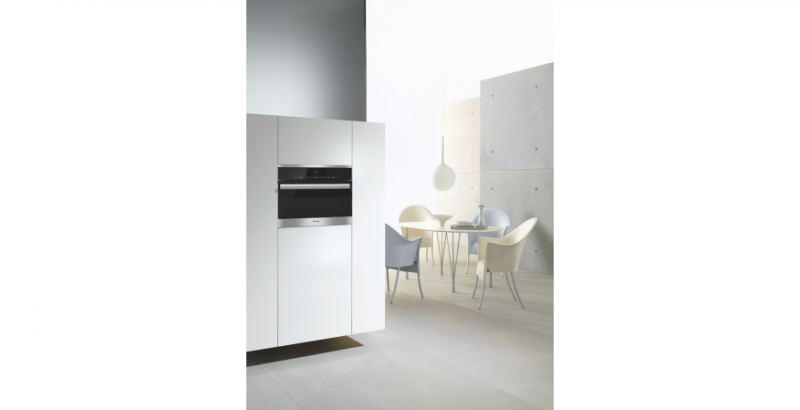 Steam ovens are available with a removable water container. 11. 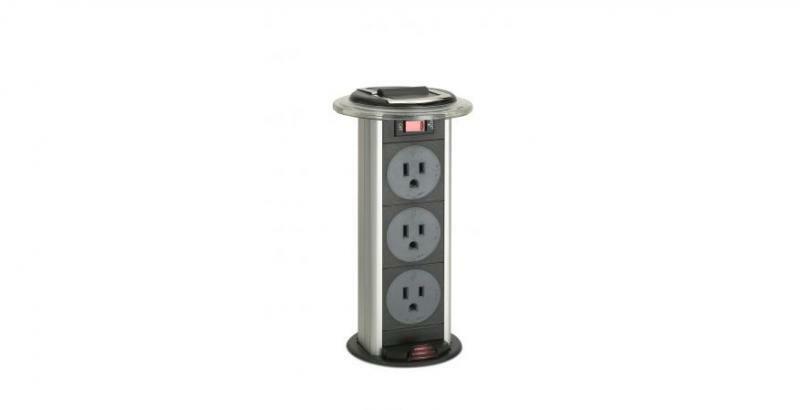 Electrical outlets that pop up from the counter when needed help to minimize visual clutter. “You’re required to have a lot of outlets in a kitchen, so when you can make them disappear, it’s really great,” says Kean. Doug Mockett offers two models, PCS34 (shown) and PCS77. The former has a rubber top to create a watertight seal when not in use and can be specified with a black or aluminum trim ring. The latter is spring-loaded. 12. Kitchens have “huge” and multiple lighting needs, says Mather. 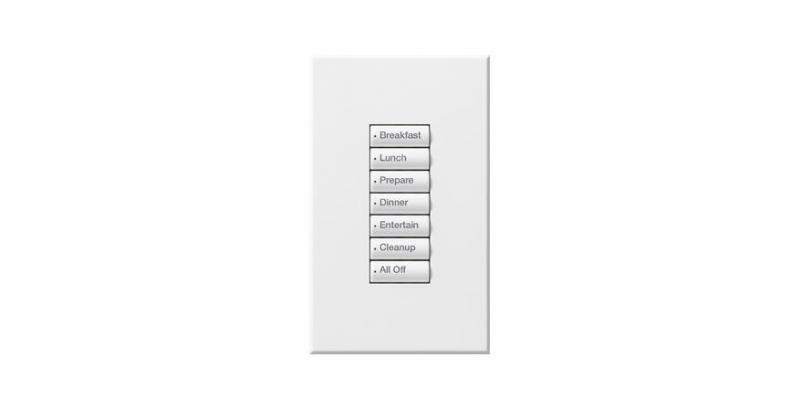 Rather than install a bank of wall switches and dimmers—which Mather describes as “wall acne”—“We stress to our clients [the need for] lighting control systems.” Favorite go-tos include Lutron HomeWorks and RadioRA, which consolidate the switches into a single keypad with programmable buttons that operate different lighting scenes.